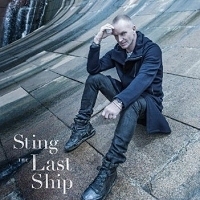 To benefit the Sage Gateshead 10th Birthday Appeal, Sting will perform songs from "The Last Ship," his latest album and new Broadway musical of the same name, on 24th and 25th April 2015. These will be the only UK performances of their kind and are both kindly supported by Cunard. 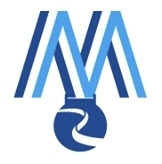 Additional support comes from Shepherd Offshore and Port of Tyne. Inspired by and set in Sting's hometown of Wallsend, The Last Ship tells a universal story. Drawn from his childhood growing up beside the Swan Hunters shipyard, The Last Ship is very personal to Sting yet also echoes the experiences of those working in shipyards along the Wear, Clyde, Mersey or any Northern port, as well as post-industrial communities the world over. The play was originally work-shopped with local musicians and actors at Newcastle's Live Theatre – ahead of its upcoming Broadway debut - but for Sting, it was never in doubt that the songs of The Last Ship should be performed for a North East audience. The musician said: "'The Last Ship' is a musical allegory set in Wallsend, the town where I was born and raised. The demise of industry - not only in shipyards like Tyneside and Gdansk, but also great manufacturing centres like Detroit - has been well documented and the effect of that demise on the identity and future of local communities particularly resonates with me. I'm very much looking forward to bringing these songs and stories home." Sting will be joined onstage at the Sage next April by many of the region's best loved musicians including fiddle and Northumbrian pipe player Kathryn Tickell and The Wilson Family from Billingham, Co. Durham. Tickets will go on sale to the general public beginning Monday 1st September from 10am (local time) at www.sagegateshead.com, and also at Sage Gateshead's box office on 0191 443 4661. Sting.com fan club members will have an opportunity to purchase tickets in advance of the general public beginning tomorrow, 28th August at 10am (local time). Members MUST be logged into the website and visit the tour page in order to access their unique presale code which will be available on the page shortly before the presale is due to start. Supporters of Sage Gateshead will also be able to purchase tickets beginning 28th August at 10am (local time) via Sage Gateshead's ticket office on 0191 443 4661. Benefit ticket prices range cost £49.50, £75 and £85. A limited number of VIP packages will also be available, including top tier seating and a pre-show meet & greet with Sting. The Last Ship's homecoming has generated great excitement and support from partners, particularly relating to the North East's shipbuilding heritage. Leading the support is Cunard, the international cruiseline company, who commissioned many of their greatest ships from the Swan Hunter ship yard in Wallsend. David Dingle, CEO of Cunard Line, said: "We're delighted that in 2015, Cunard's 175th anniversary year, we will be able to commemorate that two of our most famous ships were created on the Tyne, through this show. 'The Last Ship' has songs that go to the heart of this country's shipbuilding industries, and reflect Cunard's own proud heritage with the North East. This great partnership saw legendary liners like Mauretania and Carpathia built at Swan Hunter on the Tyne and then serve Cunard for many years". Freddy Shepherd, Chairman of Shepherd Offshore said: "I'm absolutely delighted that this show is coming to the Tyne. As an ex-apprentice of Swan Hunter, where I saw many ships constructed, this is an excellent idea and I'm really looking forward to it". Andrew Moffat, Port of Tyne Chief Executive Officer, said: "A story celebrating our shipbuilding heritage seemed a good match for the Port of Tyne and we are delighted to help bring the show to many people in the region and to support Sage Gateshead in its tenth anniversary year." Norma Redfearn, North Tyneside's Elected Mayor, said: "We are pleased that the shipbuilding tradition of the area has been recognised by Sting with 'The Last Ship'. We are very proud of him. He is a credit to North Tyneside and these performances highlight the great history of our borough and the Swan Hunter yard, which is so important to the people of Wallsend and the wider area. We are working hard to ensure the iconic Swans site continues to generate work for our residents and leads the way in innovation -just as the Swan Hunter shipyard did - so we can develop our advanced manufacturing sector and help secure the future of our young people." In benefitting the Sage Gateshead's 10th Birthday Appeal, proceeds raised from both performances will ensure that its vital work in the region will continue. Mick Henry, Leader of Gateshead Council, said: "The success of the 10th Birthday Appeal will contribute to the long-term sustainability of this great cultural venue. We are really grateful to Sting for his fantastic support. As well as being a world-class performance venue, Sage Gateshead provides education and inclusion programmes throughout the North East of England for marginalised young people, vulnerable older people and more - building their skills and abilities, and providing them with a place they can 'belong' through music". Anthony Sargent, General Director of Sage Gateshead, said: "We're honoured that Sting has chosen to bring 'The Last Ship' to Sage Gateshead. His support for our 10th birthday appeal means that our work across the region, helping enrich so many lives through our musical education programmes, can continue. For the past ten years, these programmes have benefitted everyone from marginalized, struggling young people through to people at the end of their lives. The generosity of Sting, and our other kind supporters, will help even more people as Sage Gateshead enters its second decade". Sting added: "The North East has a great creative atmosphere and legacy. The Sage sits proudly at its cultural heart and I'm always happy to support it." All performances begin at 8pm. In the spirit of the Sage's mission of accessibility, a limited number of free seats will be distributed the day of each performance via a lottery system. Additional details to be announced. Check out the new trailer for The Last Ship!